Continuing in our very popular series of Migrants’ Tale – first had accounts of the migrant experience in New Zealand taken from locations around the net. For hundreds more Migrant Tales in the series click here – link. Our Singaporean readers may also find these interesting: Moved from Singapore for a better life and articles tagged Singapore. This message was published on a members only internet Group, a hybrid between an electronic mailing list and threaded internet forum with hundreds of members. This is a common way for intending and existing emigrants to exchange information about New Zealand. 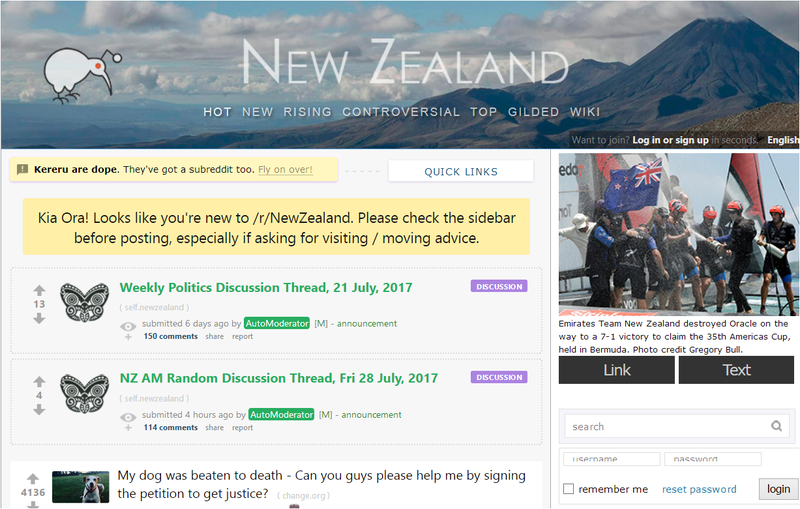 I have been following this thread for a few days whilst I was on Holiday at Lake Tekapo. I guess it is my turn to chime in. September 11, 2001 was our 10th wedding anniversary and we had decided that to spend it in New York as we were working and living in Toronto at the time. Well, you know how that turned out. To this day certain smells and noises make me jump & shudder. We were wanting to “settle down” and start a family. I am a Registered Nurse in Canada, Israel, Missouri, Kansas, Oklahoma & Texas, Hubby is a licensed Civil Engineer (PE) in Australia, New Zealand, Canada, Missouri, Oklahoma & Kansas. He is also a secondary teacher with a specialty in Math & upper sciences in the state of Missouri and has his teaching credentials assessed at Level 7 certificate for New Zealand. We decided to apply to BOTH Australia and New Zealand at the same time with *** being the primary in New Zealand (as NZ had not approved my nursing yet) and I was primary in Australia (who were happy to assess based on USA experience but NOT Israel). Australia replied about 4 weeks later offering us a 2 year work visa contingent upon my finding work as a nurse in Australia. New Zealand offered us Permanent Resident with no strings attached other than we pass the physical, criminal checks and arrive within 6 months to take up residency. We chose to go with New Zealand. BIG MISTAKE. We arrived in 2004 and I can say I have been utterly SHOCKED at how our lives have changed. Neither me nor my husband are working in our trained fields. We have absolutely NO money nor savings left after 14 years of professional work in the USA. It took 9 months for my husband to get a job at KMart. A year later he was able to get an entry level position as an orderly at the hospital (only because he was willing to work nights). He continues to work there today earning just above the minimum wage. I went round and round with the Nursing Council & decided to do IVF (FREE) and have a child rather then fight with them about schooling. I was shocked to learn that New Zealand would “pay” me to sit at home and have unlimited numbers of children through Work & Income, Housing Allowance, Day Care Subsidy& Tax Rebates at birth. Not a professional salary, but way better then trying to work an entry level position(AND have to pay for daycare). Brillant for a professional mums wanting a break, but no motivation or incentive for average or minimum wage earners to return to work. In fact, I know of several families who are trying to have more children strictly for financial reasons as they have no training nor skills. Talk about a nanny-welfare state!!! Israel. You can ring an office at 9am and have your child seen in the afternoon. PLUNKET is a GREAT organization for both mums and babes-care in the home after birth is marvelous here. TOY LIBRARIES are fabolous and very economical.. .can’t believe that we didn’t have them in the US. BABY CHANGING ROOMS in the mall are like mini-hotels- equipped with recliners for breastfeeding and videos for the older kiddys to watch. TRANSPORT:PRAM ACCESSIBILITY is great with all the busses lowering or having ramps. I have to use the bus system as we can no longer afford to operate a car on our income. I find the prices to be VERY reasonable and you can get just about anywhere at anytime in the city on one. Jobs: All jobs start with a minimum of 4 weeks paid vacation in addition to sick leave and holidays. Enough said. old *** out one day until we changed her socks so they matched her dress. Holiday Parks and Batches-the ONLY way to afford vacation if you live on Kiwi salary long enough. They are VERY economical and you will find most of them to be quite clean, well kept and GREAT for kids to just run and be kids. Kiwi kids know how to “get dirty” and play with nothing more then some dirt and a stick. Right now *** is entertaining herself with laundry pegs and a watering can. FOOD: We DO eat much more healthy then in the US-but we do so out of “poverty”. Healthy eating has never been an issue for me and my family and we find the “basic” food items to be the only ones that we can afford. Yes, we eat seasonally and yes I have learned to like my fruit and vege’s. I do cook HEAPS more then I use to in the US. I think it is better that kids have to take their lunches to school (for the most part) and you cannot find Burger Kings and McDonald’s in the school cafeteria like you do in Lee’s Summit Missouri. KIWI’s-are quite reserved and distant for the most part, but there are those naturally “friendly” ones. MOST Kiwis are basically honest and look out for the safety of children. When my child went missing for a few minutes last month I was more worried that she had fallen into the Avon River then that she had been kidnapped or worse. At large scale events Kiwis often write their mobile phone numbers down the side of their child’s arm so they can find someone to ring Mummy or Daddy should they get lost in the crowd. Can’t imagine that in the US!!! COLD LEAKY UNINSULATED HOMES-I find it APPALING the whole heating issue. Your heating bill will be hundreds of dollars and you will still be cold. You would think people who settled a country could figure out how to build a decent house to keep you warm. Prices are very high for sub-standard housing. MEDICAL:Although Jewish I do have hints of Midwest conservatisim in my blood and do NOT like the fact that my child can seek reproductive health care (BC pill & abortion) WITHOUT my knowledge nor consent at the age of 14!!! I find the level of RN’s training to be less that that of an LPN in the States. Kiwi’s tend to take great pride in sub-standard credentials and training. TRANSPORT-there are HEAPS of old clunkers that are dirty and loud on the roads. We cannot afford to own and operate a vehicle because of all the WOF requirements without changing something else in our lifestyle. Boy Racers are a royal pain and the police tend to have a very “boys will be boys” attitude when dealing with them rather then enforcing the law. CRIME-while I do not worry when walking down the street with my child about being “mugged” or attacked, I find the “petty” and “annoying” crimes to be MUCH more prevalent then where I lived in the States. As stated, boy racers are annoying, loud and dangerous. There is a VERY VERY serious alcoholism problem in this country, not just drinking but “binge” drinking that you usually do not see until college in the States. Graffiti is EVERYWHERE. The only country I have seen that smokes more than Kiwi’s are the Israeli’s. I see more teenage drop outs and kids doing nothing then I ever saw in the suburb’s of Missouri. Teenagers seem unmotivated & many seem to lack direction. SCHOOLS-my mother-in-law does International Intakes (in the States) of chilren who are returning to the USA for her school district. She USE to say that the Brit’s were the worst in testing. She says in the last ten years she has seen that the Kiwi’s are BY FAR the least motivated, and most behind of any country she has seen short of refugees. She says that they do not even know how to take the test. Handwriting is awful and most teenagers cannot do multiplication without a calculator or even count change back properly. There is no record of testing, grades, conduct or reports. She has begged me to “homeschool” *** if we are going to remain here (it’s just not in my blood) and tells me that by age 8 *** will be a good 2-3 years behind her American cousins. There is only ONE school (per gender) in the whole of the South Island that offers the IB program which is the ONLY credential from New Zealand that colleges and Universities abroad will recognize. It also costs $18,000 a year to send your child there as it is a private school. It is not uncommon for “professional” Kiwi parents to take their child out of public schools at age 14 and place them there for the IB program if they can afford to do so. JOBS-there is nothing for me to add to this other then the fact that MANY of the jobs that are advertised have already been promised or given to a family member or friend and they are only advertising because the law says that they have to. There is NO sense of fairness or “the best person for the job”-I feel like I live in one great big social “gool ole boys club”. My husband ROUTINELY sees that the “Asian” nurses often get the hard or difficult assignments at work. There is Anti-Americanism, but it is not so much the fact that we are American as it is the fact we are not Kiwi-born. Most people who dislike Americans tend to avoid us rather then confront us. CLOTHING-expect to pay Dillard’s prices for Walmart quality. Not much in colour (unless you like pink). But then, EVERYONE is in uniforms, so clothing is not as big a deal over here. An expat friend brought *** a dress with tights and leggings last year with the Walmart price still on it. It has outlasted three other dress bought at the Mall here for TRIPLE the price -and she loves it so much the dress has become a tunic. Walmart quality is better then any quality you will find here other then wool products. FOOD-from someone who is NOT organic or natural and does not care about such things I find the food to be VERY expensive for very little quality with the exeption of yogurts. Sweet corn was the same price as I paid in the USA last week, only the quality is what the Missouri farmers us to feed to the pigs. Not even yellow with many kernels missing. I miss the simple naughty things:Cool Whip to mix with JELLO (jelly here gets a film on the top), VELVEETA cheese blocks for yummy nachos, HO HO’s, Ding Dong’s Quicktrip fountain drinks & Prime Rib steaks. I also know that this is just a part of adapting but basic food prices are higher here then in any other country which I have lived. I am totally bored as it is unusual to get new products down here. I did get lucky last week and found Chips Ahoy Chocolate Chip cookies for .99 cents a package. I asked why they were so cheap. “We have to get rid of them. None of the Kiwi’s are buying them, they don’t like new foreign stuff down here.” I can get Reeses Peanut Butter Cups now at the cost of $1 PER CUP and Dorrito’s have just arrived. I really hope that Kiwi’s decide to like them. KIWI’s-I find most of the adults to be quite friendly and pleasant to your face, but that does not mean you will ever be invited over for a cup of tea. They have their cliques and groups of friends and many of them have been “best mates” since grade school. Being an outgoing person I have found myself to be MUCH MUCH more happy when I decided to stop focusing on the Kiwis and just look around. In the last four years I have developed a “core” set of friends-on is Dutch, one is a Brit, one is from Seattle, one German and we all get on great. WE are family. WE go away for holiday’s together and split the cost. The only problem with this is you will find that every year one or two people come and go, and this can get hard emotionally. That is how it is with expats…very few actually come here to stay even though they may THINK that they are at the time. Once again, it often winds down to a job. Had we not had ***, I’m not sure that we would have financially been able to stay. RUGBY: Other then half-time on Superbowl Sunday,I ignored football in the States and once in a while would watch baseball. I’m just not a sports type of person. I thought that football fever was bad in the States, but it is NOTHING compared to Rugby down here. It seems to be the ONLY thing that Kiwi’s care about. And it seems to be the ony thing (other than weather) that Kiwi’s can hold a conversation about. I feel like it is contantly being “shoved down my throat” and more then one Kiwi has said that I will never be a “real Kiwi” until I learn to follow and care about Rugby. VERY ANNOYING. SO IF YOU DISLIKE IT SO MUCH WHY DON’T YOU JUST GO HOME? 1. We cannot afford to. As stated we have blown through ALL of our saving’s are are now living on minimum wage & Work & Income. We feel TOTALLY trapped here. We would have to move in with our in-laws and attempt to find work in the American Recession. 2. We have just applied for citizenship and are saving up money to get our Kiwi passports. It now takes 5 years of living and employment to qualify. 3. *** was Kiwi conceived, Kiwi born and the least we owe her is a Kiwi childhood. I want her to skinny-dip, fly-fish, dirt bike, skateboard, swim in glacier fed lakes, jump from trees, horseback ride, drink from a stream, trust adults, sleep in a tent, ice skate under pine trees, etc. Our goal is that she will have fond memories of her childhood in New Zealand before life got complicated or hard that she can tell to our grandchildren. YOU ARE BOTH PROFESSIONALS, SO WHAT IS YOUR FUTURE PLANS? 1. My husband is returning to school full-time for the next 2-3 years to have a Kiwi DEGREE and qualification. I have been in contact with Australian Nurses Association who tell me that I will have to take a 6-8 week “refresher” course should I wish to return to and practise nursing in Australia. 2. WE are trying to have another child as I am now 40 and time is running out to give*** a sibling. New Zealand seems to be the only country I have lived in that actually “pays” you to have kids. Why not do it here? 3. Hubby will have to work a year in his field here in New Zealand after “completion” . At that time we will assess whether it will be better to return to the States or simply do what most professional Kiwi’s do and move to Australia. *** will be about 7 at that time. WE will have to determine her personality as well in determining where to go. It would be nice to stay in New Zealand a few more years (for her sake)-but it seems to be professional and financial “suicide”. (but not really) and think you might fit into the “group”-pop me an email and then come around to meet some people and see if our little group works for you. We just had the man from Seattle move to Australia this week, so we are looking for “a new cousin”. OK SO THE ONE PIECE OF ADVICE THAT I WOULD OFFER TO YOU? Set a financial limit, (whatever that may be-often it is the price of a ticket home)-come, give it a go. You will always wonder what could have been had you not. Make friends with expats and other’s in this forum first, then worry about befriending Kiwi’s. Let them come to you. Give it a REAL go and then, if you hit the financial number you set, marry a Kiwi, have a kid, or go home. Sounds blunt, but that is our live in a nutshell. Finances – I echo everyone’s sentiments – Save as much money as you can before you come. Everything’s expensive, with smaller selection and often of lesser quality. Weekend markets are great places to get produce and fruit, sometimes less than half of the supermarket prices. We brought a container, and loaded it w/ food from trader joe’s – only wish we’d brought more. I took someone else’s advice and also packed two year’s worth of clothes for our daughter. Sentiment toward Americans/Foreigners – Socially, we’ve felt very welcomed. Within the first few weeks of settling were invited to several neighbor’s homes and social gatherings. It could be the neighborhood, fairly old and v.international w/ many retired diplomats. Everyone at the park we frequent chats with each other. Hope this was helpful. As our time progresses, I’m sure our experience will evolve. I have lived in five countries and have US and Australian citizenships. My wife is Thai. I have experienced the good, the bad and the ugly in each. New Zealand and Thailand are Monarchies. That has stunted development as the wealthy elite grab control of everything of value for themselves and make it illegal for the unrepresented swill do the things they can to build a life. Kiwis are encouraged to annominously dob in anyone doing anything on the list and they relish doing this. In the next two generations when all the family farms are gone and the towns suffer another 40 years of decay New Zealand is going to become one big slum. The US and Australia are very similar to each other but China is awesome. It is going thru a golden age and I am happy I had an opportunity to live there, but I was not important enough to get permanent residency. My advice rule out island countries and monarchies.You will have more opportunities, a better lifestyle and more things to do. i have lived in nz for 40years,and lived all round the country,now i think the place is a mess,dairying in mid canterbury is killing it,all the shelter belts are being cut down.the rivers are stuffed………….,thanks to the transport minister he is filling our roads with more bigger tructs,no joy in driving around nz anymore,nothing is done about idiot kids speeding around in noisy cars,the police system of policing the roads is a joke and of course allowing none residents to buy property here is crazy……….i think the problem here is theres no culture,what i mean by that is theres no respect,no refinement,theres alot of very nasty people here……………..i am looking at france and hope to move there in the near future……..
With access to international markets, there really are no excuses. When ever I am in the market for a particular item, I first start looking locally. After I recover from sticker shock, I look on-line. Recently, I sought out an item that was $650-700 in NZ. A quick look at Amazon showed an upgraded 2.0 for $189 [usd]. item for about half the cost of the older version available in NZ. NZ isn’t all that isolated, in economic and social terms. There’s the CER, a free trade agreement with Australia and of course the trans Tasman migration agreement which allows more or less automatic entry to Australia. Still, many Kiwis whine about being treated as ‘second class’ citizens in Australia. They really don’t acknowledge how lucky they are and they can’t help bashing Oz. Fiji is isolated, not NZ. If you live in one of the larger places in NZ (Auckland, Wellington, Christchurch) you’re not getting an NZ experience, you are getting a massive mix of cultures, and all the people angry about having to put up with each others cultures…is what I would have said four years ago when this was written, now most of New Zealand is like this, only with faster internet, and less jobs, and even more drunk teenagers, and most of those teenagers are from some other country. at least my street in Rotorua is like this, there is two people on this street who were born in New Zealand, excluding the recently born babies(and is similar in the surrounding blocks, they are all from different places, and they have been fighting and arguing with each other for about 2 years now. even the minimum wage jobs require years of experience and have minimum 30+ applicants(Source: the last time 3 times my work place put out job adverts). I get the feeling NZ is advertised everywhere as some clean green paradise place to live, and everyone wants to come here, its not, its hell with the walls painted pretty, stop moving here, there is to many people here already, I’ve spent my whole adult life competing with hoards of people like the woman in this article above for minimum wage jobs that barely pay the rent let alone bills, I feel sorry for her, and I’m in the same situation as her, only I was born here, don’t be like her..or me. We were thinking of migrating to NZ from dubai, UAE. Said would check a few blogs before start the process. Thanks for the very detailed truth about New Zealand. Everyone shows a very happy rosy picture before moving to NZ. Also once there. As I have stated before they could allow comments on 90% of material but no? . I was there last Xmas to visit family and found the media /news coverage very plastic. I have lived in nz for 59yrs and in that time have lived in wellington auckland 42yrs and taranaki,I have never ever experienced condensation running down the walls and the house I built in auckland was concrete block,as far as mould gos if you keep a house well ventilated you will have no problem.As far as other comments on this site go I will agree that nz is grossly overadvertised as a nirvana,it is not,but all things considered in todays world it is not too bad and a good living can be acheived if you think outside the square. Obviously they all rode the property boom in the uk and are doing the same in nz. They are also good at turning a blind eye to the have and have nots and finally they don’t go out in the sun and burn. Wait till reality hits the nz economy and the average house price drops back to where it should be $200,000 . The problem of house prices dropping to $200,000 … ignores the other reality that by that time so many other industries and workplaces will have “rightsized” to “meet their commitments to shareholders”. Can New Zealand cope with so many people “ready for new opportunities” that are acculturated to the idea of “foreigners are buying everything worthwhile” and “jobs for Kiwis (ONLY, but especially those who look and sound “right for the job”)? He lived in the council flat in Southport with his widowed mother and was working as a cook when he met a NZ girl.. he came back to NZ with her and they got married and lived happily ever after. Heather – Happily ever after i.e. till he was stabbed or killed in a road accident in NZ? They are actually allowing comments on this article but guess what I live in Perth and am registered to comment on the herald but they are blocking me from doing so…I have made one comment before re housing situation there and it must have not been to there delusional way of thinking or they are not allowing anyone from Aus to comment? Very interesting Neil. My comments in the past have usually been published, however recently comments about the anti-Australian bias in the NZ Herald haven’t been published. I read that Tame article and posted that the real embarrassment was Kiwis’ pathetic need to write negative articles about Australia. The paper doesn’t even bother to indicate that a comment has been deleted, it just doesn’t appear. You might be correct—comments from Oz aren’t allowed. I’ve never seen an MSM site that censors opinions like the Herald. Considering that Jack Tame has just returned to NZ after five years in New York, I’d have thought him to be beyond this level. No sooner back than he is joining other media hacks and giving the anti-Aussie tin can a good kick. Missing from his piece was any mention that on a per capita basis, Australia takes four times more refugees than NZ. ; balance is never going to be his forte. I’ve never read so much rubbish about a place in my life! Look at the messed up state the USA is in! This couple must be very narrow minded and unwilling to fit into a new culture. Typical! HA HA funny thing happened here in Perth yesterday on the radio they were advertising for kiwis who might be missing NZ and enticing them with jobs in the prison service. I compared what they were offering to what the guys can get here $51k in NZ and $80k here ?? Can only imagine the intelligence of the ones that might decide to go or return there?? Just shows THAT THEY CANT GET THE KIWIS TO DO IT…. When i moved to NZ in 1989 i really wanted to like it 🙂 it should have been cheap and offer a lot of opportunity but nothing of the sort…Would be better if they could just install a medium level of human evolution and morals but the gang and alcohol/drug culture is to deep…one common way to stay above it is play rugby every weekend and be the ones doing the bashing. My main impression of New Zealanders? Based on visiting the country and meeting ‘expats’ in the UK is their obsession with the English. It seems to dominate every thought, action and deed. They never tire of telling you how vastly superior NZ is. It is hard work getting beyond this stage and if you think it’s worth it then go for it. I’m not out to cause offence just making an observation based on personal experience. If you’re English have even a brief conversation with a New Zealander you’ll be repeatedly reminded of it and if you dare to mention anything you’ve achieved it will be surpassed. I genuinely feel this passive aggressive (and sometimes openly hostile) ‘Tall poppy’ attitude holds New Zealanders back. If people didn’t concentrate on bigging their country (which ironically they often emigrated from) up they would get on much better. I agree with your comments. I have lived in NZ a few years and there are pros and cons. I get a bit fed up with the constant vibe of “We are a special country and a special people” that comes from the NZ media. I was born in and have nearly always lived in Christchurch NZ and personally have always thought people who migrate very brave. I lived and worked in London for a while and learned I do not like big cities, it is not in my blood. Something people need to understand about New Zealand, from afar, is we’re a small country at the end of the worlds communication lines, we are not and never will be rich. We do not and never will have the amenities wealth brings. The amount of poorly designed and insulated housing is a reflection of this – the cost of building well has long been beyond most. And consequently plenty of people can fall into the trap that poverty is expensive (if you can only afford poor quality you’re forever replacing it as it breaks and wears out and never own lasting quality). New Zealand has a low wage economy, it will likely always be that way because we do not have large populations and large industries the world clamours for. Our successes are farming or niches and a consequence of that is we do not have an abundance of middle-class jobs available. But a benefit of it is capital does not enclose the commons, the environment is not taken from the population and beauty and joy is everywhere to experience for the energetic. I know from my curiosity that moving somewhere is hard on people for at least two years as what was familiar is lost and what is gained is often unfamiliar and stressful. Things done well where one lived don’t seem done well in the new home (turning right in the U.S on a red light), what is done well in the new home doesn’t always make sense, and differing cultural values cause tremendous disconnects. And I think a person is very brave to risk a new country and culture, the way I think I believe they need to be very self contained within themselves or family to risk uprooting relationships and move somewhere they haven’t a life’s training to navigate. I’m well heeled, and while my upbringing wasn’t with wealth I’ve never been deprived (nor spoiled but nobody needed to buy much to make childhood enjoyable in New Zealand) so I wonder about stories of people having it tough and I think, and wrote this to push the point home – NZ is not rich, incomes are lower, costs are higher than most other places. There is a good chance that anyone from a country with a large population coming here is going to have ON TOP of usual cultural shocks a financial surprise, probable disappointment, if they aren’t independently set or have particularly valuable skills and that is not going to change. As to cultural shock, well, I lived in Wimbledon and worked in Brixton and Hampstead Heath in London, three distinctive suburbs. If I found myself living in Brixton (then a couple of years after the riots) I’d have a different opinion of the UK than when I lived in Hampstead heath for a bit. Do not move to NZ unless you got money- this is not a place you can get ahead as an outsider unless you have skills that are in demand- it is a lonely isolated place and 1080 is used like mad as well as atrazine. Kiwis are not the brightest people and they are highly xenophobic, hierarchical and into the class system. Aus is much more friendly to Americans than NZ. Lots of jealousy and prejudice here though in every aspect of society they mimic or try to mimic America. They are very self-centred people and only care for their own advancement. I do not agree with the author’s experience of medicine as I have found the docs totally arrogant and closed-minded. I prefer European or N American docs and dentists. They charge a lot here and private insurance is a joke compared to Australia or US. Kiwis are not flexible people and they do not look at education but only about who you know, who you worked for before. Auckland is just as xenophobic as other places too- don’t be fooled- also more bullying and abuse in the cities for sure in work situations- it is normal for them and they allow it to happen. Kiwi women are some of the most aggressive women to work for. “Australia lacks culture” Nonsense, the term is meaningless, all societies have a culture. Australia has been a multicultural society for three generations, unlike NZ, there’s a hundred cultures in Australia. There are two cities in Australia that have larger populations than NZ, are you really claiming that they ‘lack culture’? Rural societies all over the world are often not welcoming to strangers and also not representative of a country in general. As to Australia being ‘barren’, some areas are, however the country has a far richer and more diverse landscape than NZ, including real tropical areas and a great variety of wildlife. Of course NZ has some beautiful scenery, but it’s empty. You’re really trying too hard to to Oz bash. Aus living is higher quality than NZ and most Kiwis that go there unless they are very dominating people stay in Aus. NZ lifestyle is poor and crappy. Rikki, I am Australian and my family has been living here for 18 months. Tomorrow, I will be boarding a plane to go back home to Brisbane. I am a teacher and after 18 months and 40+ job applications remain unemployed. So I got a job back home – 4 applications, 2 interviews, 1 job – all in the space of a week! Now we will sell our overvalued house to an Aucklander, walk away with a killing and go back home to family, better wages and warmer weather. We sincerely hoped to stay – made a go of it, bought a house, enrolled kids in school, made friends, but the high cost of living, coupled with lower wages meant we simply couldn’t pay off debts, get ahead and enjoy life. We were lucky and earned more than average but at the end of the day, long-term unemployment really got to me. Plus I missed family and old friends and the trappings of a big city. And also I didn’t like the fact that my kids are being reminded of gangs and the meth problem here. They simply didn’t even realise that such people existed before we came here. In town, everywhere you see hood rats with gang colours and are always hearing of meth contamination in houses. Depressing and sad. Can’t wait to get back home to the sunshine and beach and the ocean warm enough to swim in! See ya NZ – thanks for nothing! Good luck Gabrielle, this is a very wise decision and you’ll not regret it. We’d be honoured if you’d write a migrant’s tale for us. Not Auckland, Hawke’s Bay. MUCH better weather, but small town, small schools, little opportunity outside agriculture – lacks the infrastructure that generates better-paying jobs I guess…Wouldn’t live in Auckland if you paid me! Your experience is more likened to extended vacation. Employment not attached to NZ=huge difference. newspaper would report it frequently. NZ’s geographical location in comparison to Canada’s’ and the severity of winter is not very convincing. Glad you are enjoying NZ, I hope it continues. Hi, I found this article very interesting! My partner and I are both Kiwis and we have a 6 month old baby. We are both from working class families but have good qualifications. Trying to make your way in the country is f**king hard! Why? Because house prices are through the roof due to overseas investors/people who are looking for a nice place to raise children who are promised a land of milk and honey here. And it is SO expensive, everything is expensive here. Not to mention that the meth problem is absolutely killing the youth here, we will not be staying. Alot of what you say is true. Their education is nothing compared to other countries. Leaky home is yet another and crime/punishment and the list goes on and on. I live in Singapore and Auckland for some time and I would say Kiwi spend too much time and energy on tiny issues. The good in Kiwi is their schools (special needs) when compared to Singapore and the pace there is just right for a 50 year old guy. Im an experienced construction labourer that has worked on huge oil sands projects and commercial sites for some of the largest corporations, I had excellent reference s and an open work permit. 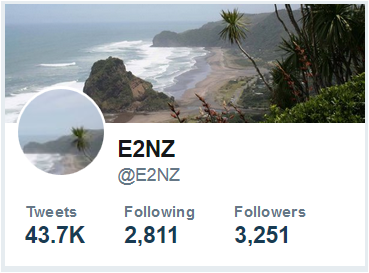 I COULD go on and on but the only people that find work in nz are the Brits or colony people, I have never before been to a city so closed off. THERE.was not one Canadian in an employment situation. I heard the same things over and over that are on this post and comments. The kiwis are stupid as mud too, if you raise your kid here he or she will be and dud. And prepare yourself for the fact he will be interested in pufting. Construction seems to be a touchy subject. Kiwis seem to think that they are the greatest builder around. Yet, their production methods [handsaws, dis and un-organization, double, triple, quadruple handling…] would get you run off almost any job in North America. BUT, they don’t want to hear it, especially in a NA accent. They will just flat NOT LISTEN. Anyone can be ignorant, you’ve got to work at getting stuck on stupid. I remember hearing plenty of boasts about their supposed prowess at building, yet they lack the expertise that would enable them to rebuild the Christchurch cathedral. As we know, the houses are of appallingly bad quality. I am not a builder, but I have seen “building” in action in New Zealand from afar. It is often one or two guys working on some ad hoc tasks and I remember seeing it take at least a year to build a new cheap house of 130 sqm in Wellington. The house was cheap in its quality not in its price. Why can builders elsewhere in the world construct better buildings at lower costs compared to the “Kiwi master builders”? It is not that it is impossible to do, but rather, that stupid, lazy, arrogant Kiwis cannot do it. it is an shame Luke you had to go through this. If only one kiwi would listen to you guy’s ! Cause you have about the most comfortable and pretty homes in the world (Canada) ! If I’d ever build my own home it would be an Canadian or American package for sure ! My step family is living in an American build home (old) and I’d always look back at it thinking on how comfortable it was ..I know it seems desperate but after spending time for years in chch you’ll understand why. I’ve spend time in one of the most expensive homes in NZ and yet it doesn’t come even close to what is being build in North America or Europe. AND THE SAME GO’S FOR MOST OF THE FURNITURE HERE. PEOPLE YOU CAN ORDER ONLINE FROM USA OR CANADA FOR SOOOOO MUCH CHEAPER. OR JUST ORDER FROM IKEA ! IT COULD SAVE YOU AN FORTUNE REALLY. And without them learning from the pro’s it doesn’t seem it will get anything better soon. Sure there are some pretty homes here but why so tiny and small (costing an fortune!) ?! I could never live in anything like that. Seems just like living in an doll house..
You know what they are just afraid of you because they know deep inside you do know better and it is too hard to admit for them. Most of them are too proud unfortunately. Hopefully you could still enjoy your trip a bit elsewhere ? And without them learning from the pro’s it doesn’t seem it will get anything better soon. It has been made abundantly clear that there is no need for any improvement in the “kiwi method” of building, thank you very much. Even though more building [of all types] goes on in 1 county of 1 state in the US, kiwis are perfectly fine in fumbling through instead of learning. it doesn’t seem it will get anything better soon. just as you say Carpentaro… it is because people here don’t see any opportunity for a change. But they wouldn’t be human if they didn’t want an better life for themselves or and their children.. Now what parent wants to pay an fortune every month just to keep their kids a bit warm. And still everybody keeps on doing it. It is called ” thinking outside of the box” or out of new zealand would be better ! most people might not know how much people pay in an western country to keep their kids warm… and for sure the energy companies want to keep it that way. There is not such a thing as an log burner in the whole of Europe. With double glazing and insulation which doesn’t cost an fortune people don’t have to turn up the central heater not very high. After years residing here I have endlessly frustrated myself with the fact that I spend hours of trying to light the fire…. We started to use spirits but then there was a bit left which I thought was lemonade and well …why so much trouble to keep a bit warm ? Why no central heating in NZ except for the hotels?! I am leaving this year but I hate people being ripped off like here in nZ almost all the time. Even with the maximal use of the log burner the warmth will just disappear through the housebecause most houses are nothing more than shags…you might as well convert an cowshed..and save yourself hundreds of thousands of dollars. This is just one big housing bubble. For an outsider this seems complete stupid. I am not looking to ruin new Zealand’s reputation but I just happen to bump into this article today..
which I found quite disturbing…but of course doesn’t surprise me…Not much “clean and pure” New Zealand found until so far . Although we get so much good pure healthy stuff from these people.. why ruining these beautiful people and their beautiful country just for money ? Thought you knew better than that NZ cattle farmer’s ! Don’t be surprised if you’re placed on the waiting list for surgery, New Zealand has a serious to chronic shortage when it comes to surgeons, even nurses in the Lower Hutt Hospital are being made to administer Chemotherapy because of a serious shortage of doctors, if you have a condition like arthritis and other delbilitating condition be prepared to be put in a ‘Waiting List’ and wait for more than 5-10 years for surgery. When you need the ER (Emergency Room) in a hospital be prepared to wait very long, one time I had to go to the hospital for a severe Asthma attack I waited at least 6 hours before being admitted. Even the dentist is quite expensive, I have heard from some people who live in New Zealand, the last thing they would do is getting their teeth cleaned in New Zealand, they would rather get their teeth cleaned or worked in Thailand or Hong Kong. I don’t blame for them, some dentists do charge $140-$200 for just cleaning the teeth. If I have a health problem I.E. Arthritis when diagnosed in Hong Kong or Japan, my waiting time for surgery would not be very long. In Hong Kong if I need to travel on the MTR which is the Railway in Hong Kong for example if I need to travel between Tsuen Wan and Central which is from New Territories to Hong Kong Island, all I am paying is $2 NZD for the single trip even on the Octopus Card for the whole trip.